Shipping from California for US customers. Average 2 days delivery with Express Shipping . Average 4 days delivery with standard shipping . If you have a kid in school, then he may have asked you to buy him/her an iPad Mini or Google Nexus 7 . You can spend two or three hundred dollars to get them one, but they may lose it or drop it in a couple month, then you have to buy them another. Well, now you have an alternative option, which only cost you $69. 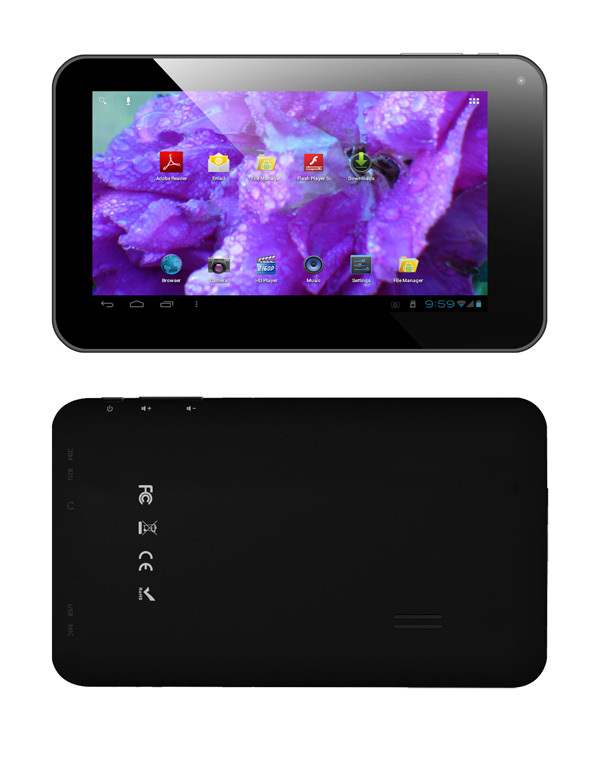 For ONLY $69.99 the uPlay C70 is the first high quality Android 4 .0 tablet under $80 with capacitive screen and camera. 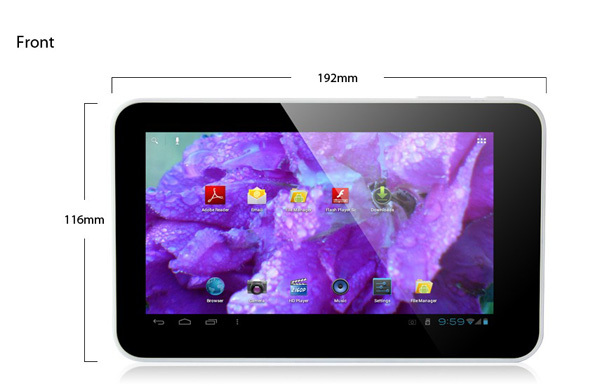 It has a powerful ARM Cortex-A8 based AllWinner A13 1.2GHz. The uPlay C70 runs the latest Google Android 4 .0.3 Ice Cream Sandwich operating system, features a multi-touch 7-inch 800 x 400 display, plays full HD video, and has a front facing 1.3 mega pixel camera for taking picture, shooting video, and video conferencing. The highlight of uPlay C70 is its high quality and low price. It’s a perfect gift for your kids. uPlay C70 has an powerful All Winner A13 1.2GHz CPU with integrated Mali-400 GPU. The NOVO uPlay C70 runs Android 4 .0.3 Ice Cream Sandwich operating system, features a multi-touch 7-inch 800 x 480 capacitive screen , 512MB high speed DDR3 RAM, and supports hardware accelerated FLASH and HTML 5 video. uPlay C70 tablet also features a 1.3MP front camera, and supports 1080P Full HD video playback. With the 3G (with external dongle) and Wi-Fi connection (support 802.1 b/g/n), you can browsing the web anywhere and anytime. uPlay C70 also has other functions, such as OTG Function, E-book reader, audio and video playback and so on. 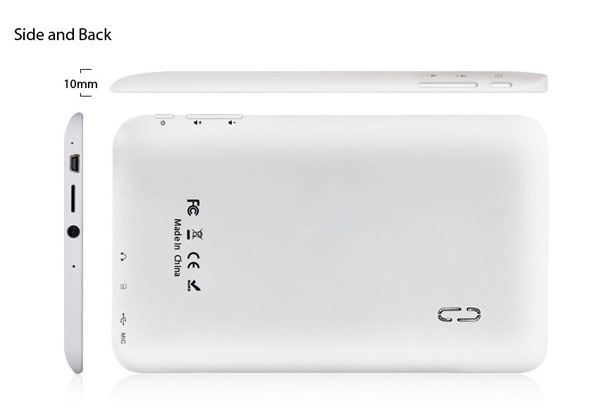 uPlay C70 Android 4.0.3 tablet is powered by 2300 mAh battery (Standby 12 days, Web 5 hours, video 4hours). You can buy uPlay Tablet C70 in our online store.